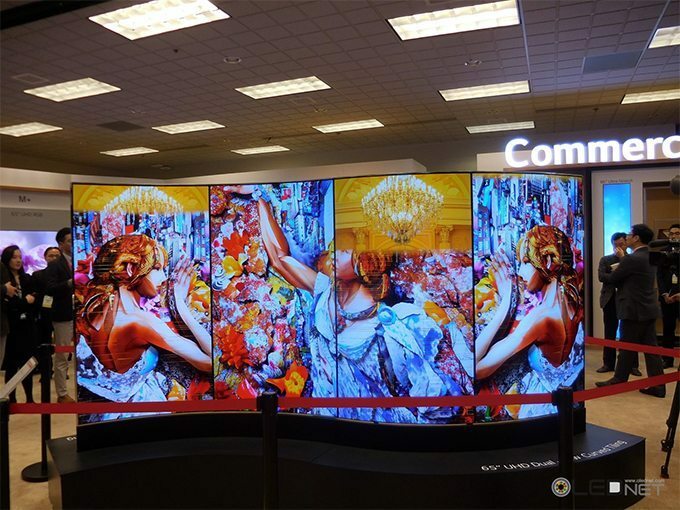 UDC (Universal Display) announced that Visionox has signed an OLED evaluation contract. 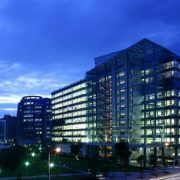 Under the agreement, UDC will supply Visionox with phosphorescent OLED emitting materials for display applications. Details of the contract such as the amount were not disclosed. 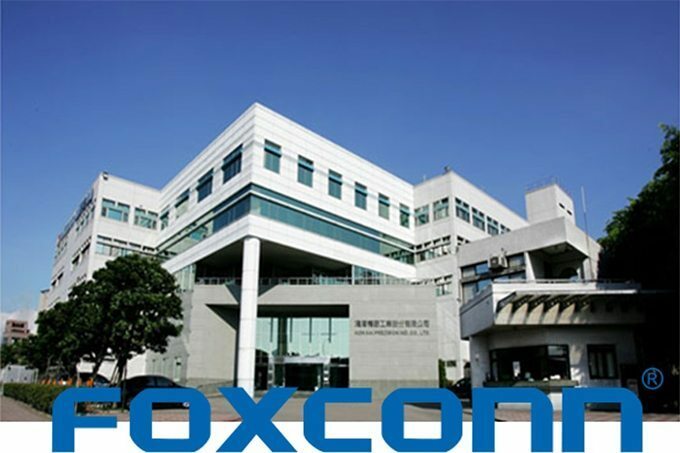 Visionox, which had produced the first PMOLED in China in 2008, started the operation of Gen5.5 rigid OLED mass production line in Kunshan in Q2 2015. 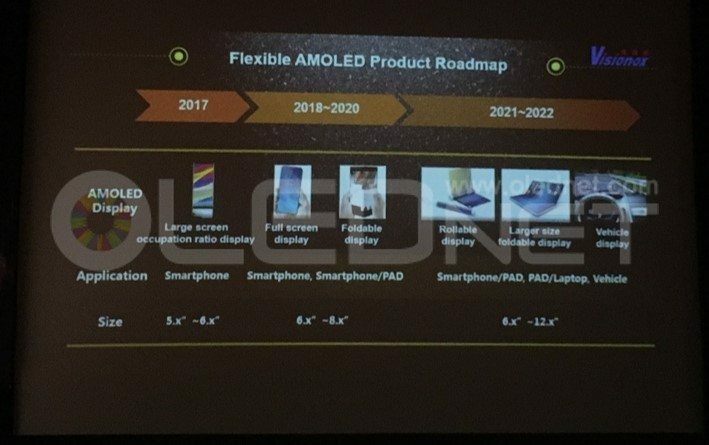 At IMID 2017 Business Forum held in October 2017, Dr. Xiuqi Huang of Visionox revealed his plans for mass production of Gen6 flexible OLED and flexible OLED development roadmap in Guan in Q2 of 2018. 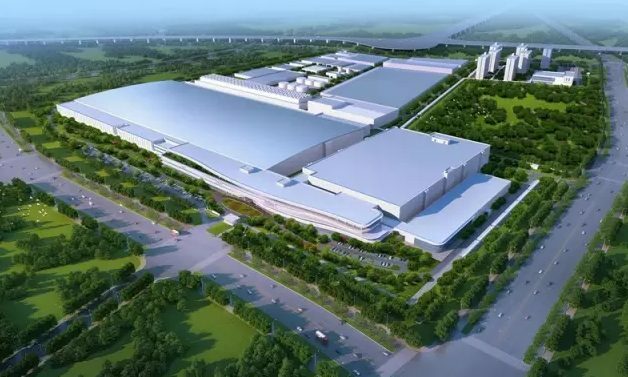 On December 28, CSOT’s Wuhan Gen6 LTPS OLED(T4 fab) production line was announced to be completed four months ahead of schedule. 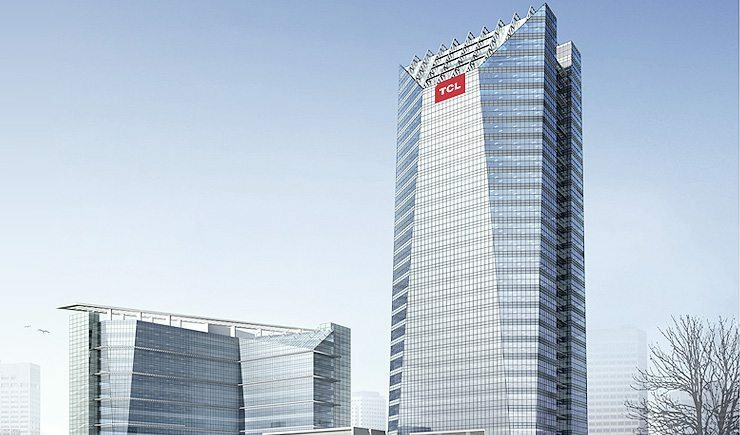 CSOT started building T4 fab in June 2017 and built a factory with a capacity of about 600,000 pyeong(1,983,471 m²) in 199 days. The total investment amount is reported to be 5,080 million dollars. CSOT’s T4 fab has received attention as China’s first Gen6 flexible LTPS OLED production line. T4 fab is known to have a production capacity of 45,000 units per month, and it is expected to mass-produce small and medium-sized flexible OLEDs and foldable OLEDs. 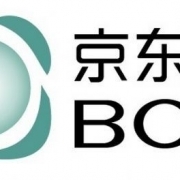 Meanwhile, CSOT said that the next step is to build clean rooms and have equipment and they aim to start producing in 2019. 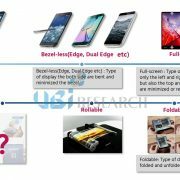 Is there possibility of High resolution(UHD) OLED Smart-phone generation? Recently VR contents experience through smart-phone device has been increased, therefore high resolution of smart phone is becoming necessary. However, OLED smart-phone resolution still remains at QHD level for 3 years since QHD OLED is applied to Galaxy Note 4 for the first time in 2014. The core point that decides resolution of OLED smart-phone is evaporation process for emission layer. Bottom-up type evaporation method, which is applied to the recent devices is that substrate and FMM (fine metal mask) are horizontally arranged on the upper side of evaporator and vaporize the organic material from the lower linear source in order to form RGB layer. Thin FMM measures less than 15um thick is necessary for making high resolution OLED like UHD level, however, as FMM gets thinner, it would be difficult to make mass production because technical problems will be occurred such as patterning, sealing and welding. In order to solve these problems, various metal mask patterning technologies are being developed such as vertical type evaporation and plane source evaporation. Vertical type evaporator that arranges board and FMM vertical is developed by Hitachi of Japan for the first time. And Canon Tokki exhibited Gen6 vertical type evaporator at Finetech Japan 2013, however it is not being used for mass production at the moment. 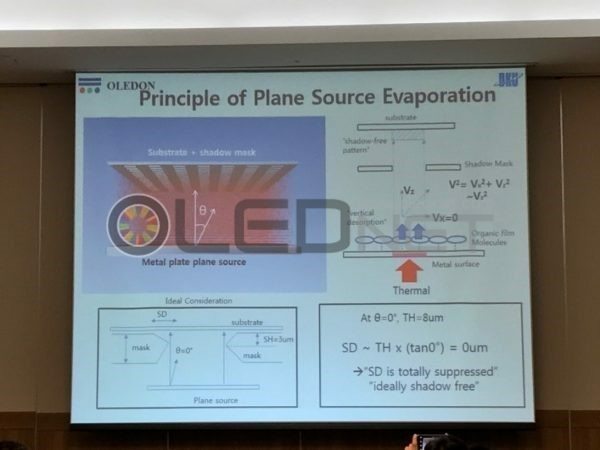 According to the recent ETNEWS, Applied Materials developed Gen6 flexible OLED vertical type evaporator and it is being tested in Japan Display. Plane source evaporator is being tested but also the linear source type. Plane source evaporator method is that an organic material is first evaporated on the metal surface to produce plane source, then re-evaporated in order to form an organic thin film on the substrate. 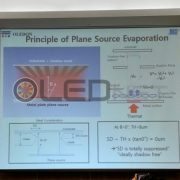 In the past iMiD 2017, representative of OLEDON, Chang Hoon Hwang mentioned that 2250 ppi resolution OLED can be implemented through plane source evaporator. For metal mask patterning technology, electro forming and laser patterning technology is highlighted. Electro forming method is developed by Wave Electronics, TGO Technology, Athene and so on. 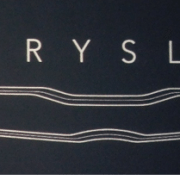 Laser patterning technology is being developed by AP Systems. As such, development for high resolution OLED is receiving great attention whether it can solve the current problems and contribute to UHD resolution implementation for OLED smart-phone. 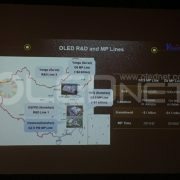 http://olednet.com/wp-content/uploads/2017/10/171012_3-1.jpg 450 600 OLEDNET /wp-content/uploads/2015/09/logo_oled.png OLEDNET2017-10-12 13:48:292018-07-11 20:53:07Is there possibility of High resolution(UHD) OLED Smart-phone generation? 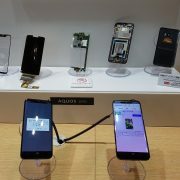 AUO showed the OLED that can be collapsible and three kinds of round OLEDs (1.2-inch, 1.3-inch, 1.4-inch) for the smart watch in Touch Taiwan 2017 held on 20th. The round OLEDs in 1.2-inch and 1.4-inch of AUO are 326ppi, and it lowers an electric consumption at 30% versus former production goods. AUO also improves the visibility capacity in outdoor by embedding the brightness increase mode to make a display screen of two kinds of round OLEDs be clear even under bright sunlight. The 1.3-inch OLED aimed at the smart watch for kids is light in weight, and strengthens the usability with a power saving mode and an intuitive touch interface function. 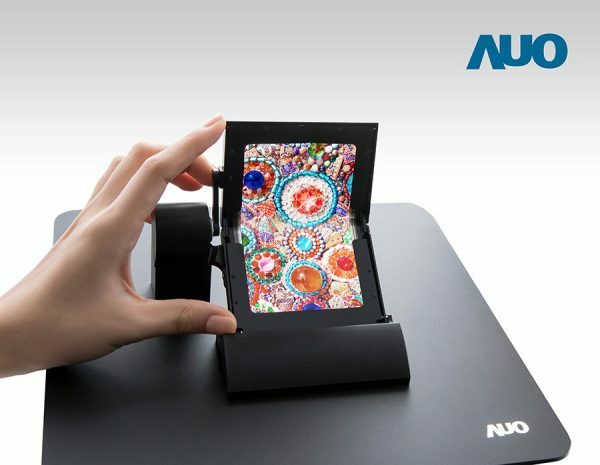 AUO displays two types of 5-inch flexible OLEDs that can be rolled or folded. Such two types of 5-inch flexible OLEDs apply the plastic board and AUO self-developed structure (special structural layer). 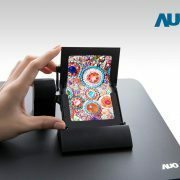 The 5-inch foldable OLED combines a flexible touch screen sensor that is developed by AUO itself. The company said “it would provide excellent image quality, even if the curvature radius of the folded part is 4mm and less”. For 5-inch rollable OLED, they explained “The thickness of the panel is just 0.1mm and only 5g. This model with the rolling radius of 4mm will provide wide color gamut”. In last SID 2017, AUO has announced about that they applied the structure locating the TFT (Thin Film Transistor) and TFE (Thin Film Encapsulation) at the neutral axis to stand the compression stress or tensions during being folded. http://olednet.com/wp-content/uploads/2017/09/170921_1-e1505984958833.jpg 465 600 OLEDNET /wp-content/uploads/2015/09/logo_oled.png OLEDNET2017-09-21 18:12:282018-09-26 20:02:40AUO unveils round OLED and foldable OLED for the smart watch in Touch Taiwan 2017. 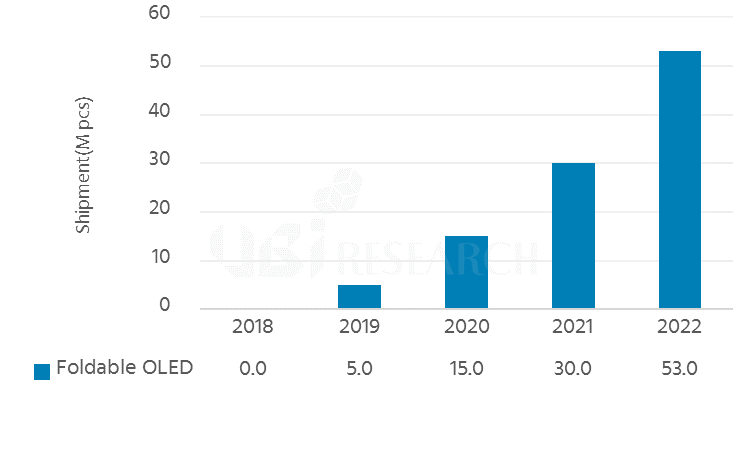 According to 2017 OLED Encapsulation Annual Report published by UBI Research, of OLED encapsulation technology, TFE (thin film encapsulation) will be applied to approximately 70% of total OLED panel in 2021, and become the key encapsulation technology. OLED display trend is heading toward minimizing bezel for full screen actualization from edge type, and flexible OLED is being considered as the most optimal display for full screen. 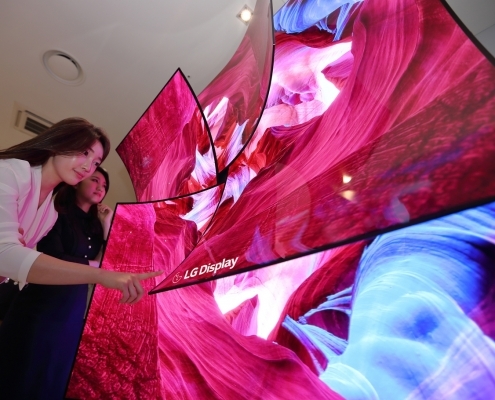 As such, Chinese panel companies, as well as Samsung Display and LG Display, are concentrating on flexible OLED mass production line investment rather than rigid. Flexible OLED must be thin and bendable; glass using frit encapsulation Is not suitable and TFE (thin film encapsulation) or hybrid encapsulation must be applied. TFE is a structure that is formed via laminating thin inorganic and organic materials. In the early stages of development, it had 11 layers of complex organic and inorganic material deposition with low yield. 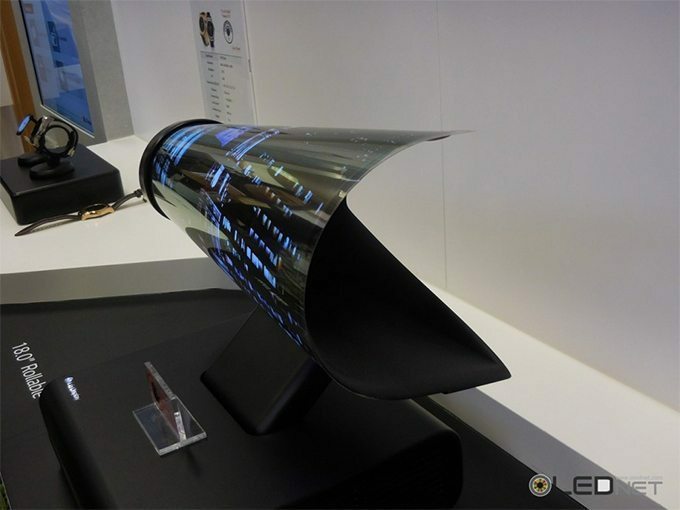 However, it now has been reduced to 3 layers and greatly improved productivity, yield, and cost and it is being applied to most of flexible OLED. 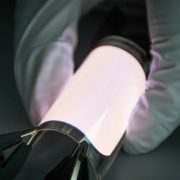 Hybrid encapsulation, which uses barrier film, is being applied to some flexible OLED. However, due to the high cost of barrier film and relatively thick thickness, recent investment is focused on TFE application. 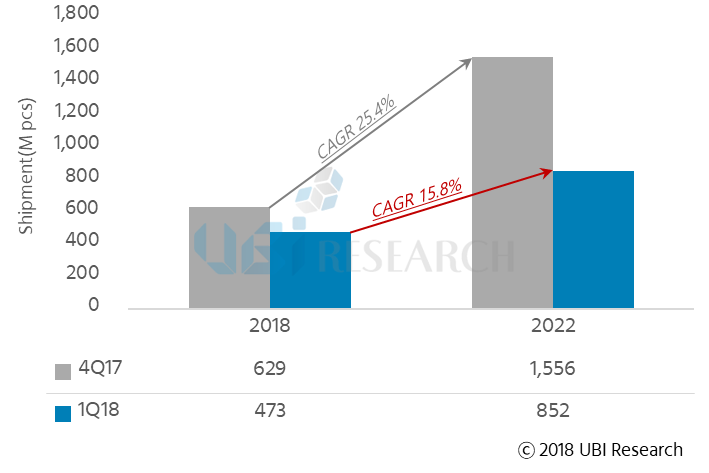 According to UBI Research analyst Jang Hyunjun, TFE encapsulation is expected to continue to be applied to edge type and full screen type flexible OLED panel, and related manufacturing equipment and material market will carry on their growth. The report explains that TFE’s key manufacturing equipment are inorganic material forming PECVD and organic material forming ink-jet printer. In particular, PECVD is used in inorganic material film formation of hybrid encapsulation as well as TFE. 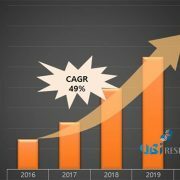 Therefore, PECVD market is estimated to record US$ 6,820 million in 2017-2021, and occupy approximately 62% of the total encapsulation manufacturing equipment market. 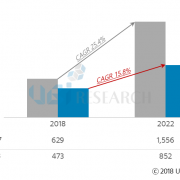 The report includes encapsulation related key manufacturing equipment and material market in addition to encapsulation development history and trend, and key panel companies’ trend. 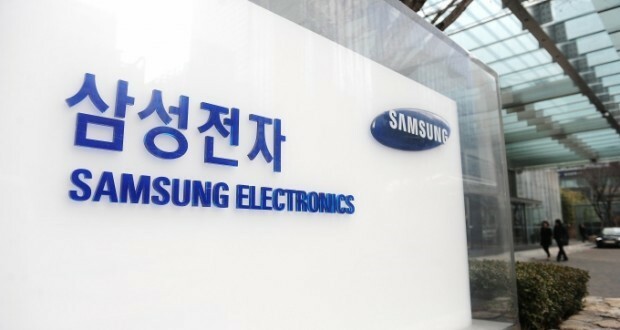 Samsung Electronics announced that it reached sales of 61 trillion Korean won and operating profit of 14.07 trillion Korean won, and the display business recorded 7.71 trillion won and operating profit of 1.71 trillion won, through the Q2 2017 Earnings Conference Call on 27th. Its display business has recorded more than 1 trillion won in the black, for 4 consecutive quarters since Q3 2016. 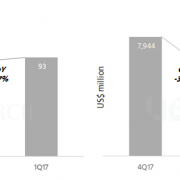 According to Samsung Electronics, its earnings for Q2 2017 has increased compared to the previous quarter due to the expanded sales of flexible OLED panels and high value-added LCD products. 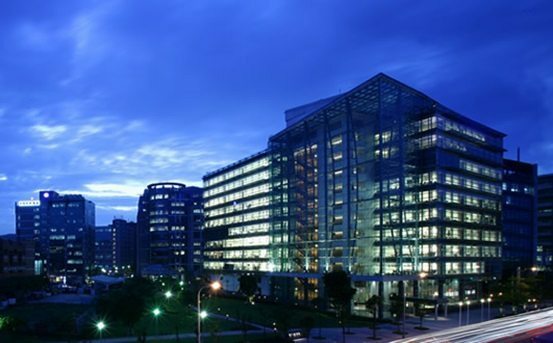 The OLED division saw its earnings improvement on the back of flexible products sales increase due to the expanded sales of major customer flagship models, and accounted for low 60% of sales. The LCD division also improved earnings by expanding the sales of high value-added products, mainly UHD and large TVs. The OLED division is expected to see sales growth for the second quarter of this year due to the expanded supply of flexible products compared to the last quarter. However, there will be fiercer competition with LTPS LCD in the mid to low-end market and a risk of cost increase resulting from ramp-up of new capacity lines. Accordingly, Samsung plans to improve profitability by aggressively responding to major customer demand through stable ramp-up of new lines and improving product mix. The LCD division is anticipated to be in a supply-demand imbalance due to set companies’ stock increase of panels and panel suppliers’ supply expansion, but premium TVs such as high resolution and super-size TVs are expected to continue to grow. 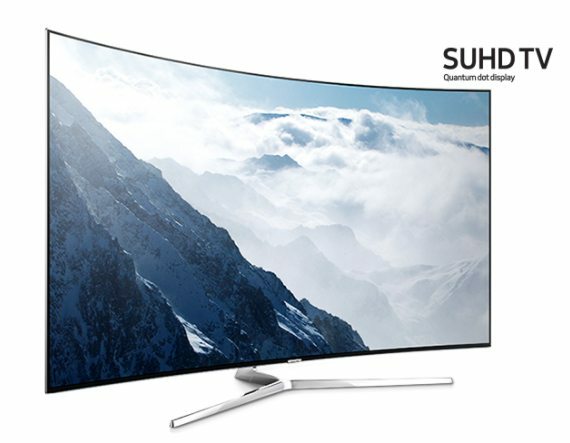 Samsung has a plan to increase profitability by promoting yield and cost improvement activities and by expanding the sales of not only high value-added products such as UHD and large-size products but also differentiated design products such as frameless and curved products. Samsung Electronics recorded sales of 93 million mobile phones and 6 million tablets in Q2 2017, and in the third quarter, the sales of mobile phones and tables are likely to increase slightly and remain flat, respectively quarter on quarter. The sales volume of LCD TVs is expected to reach 9 million units and grow at low single in the third quarter. 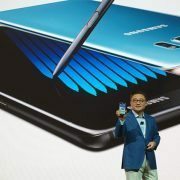 Samsung Electronics invested a total of 12.7 trillion KRW in its facilities in the second quarter, of which 4.5 trillion KRW were invested in the display. 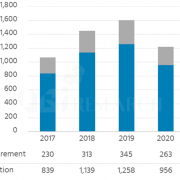 This year’s investment plan for facilities is yet to be determined, but investment is expected to increase substantially from last year, especially for semiconductors and displays. 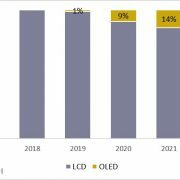 The display division plans to invest in production expansion to meet the increasing demand for flexible OLEDs. Director Lee Chang-hoon of Samsung Display said, “The smartphone set makers’ OLED adoption will continue to increase with the constant strong demand for it. 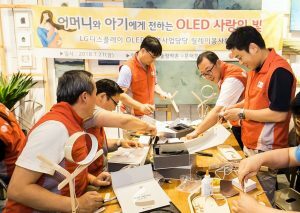 The current OLED line is being resiliently operated in line with market and customer needs”. He added “We will continue to use and operate OLED lines strategically in accordance with market demand and customer needs.”, and explained they are not considering the plan to further shift LCD lines into OLED. 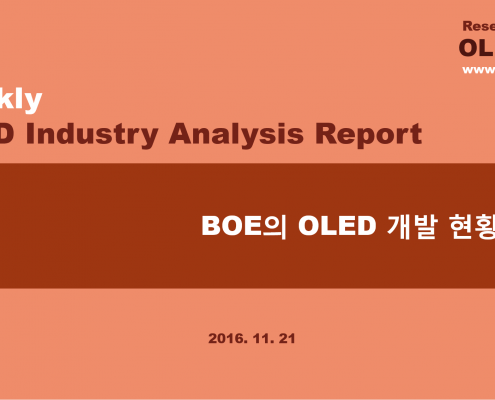 ■ 2017 1H general review of the technical issues and the market of OLED industry. ■ 2H09 market outlook and change point forecast through 1H issue analysis. 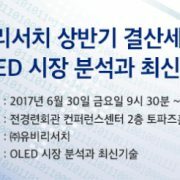 UBI Research will hold the 1H semester seminar: OLED market analysis and latest technology seminar which will be able to forecast OLED market issues in the first half of 2017 and predict market outlook and change points in 2H07 on June 30 (Fri) at Yeouido FKI Conference Center. 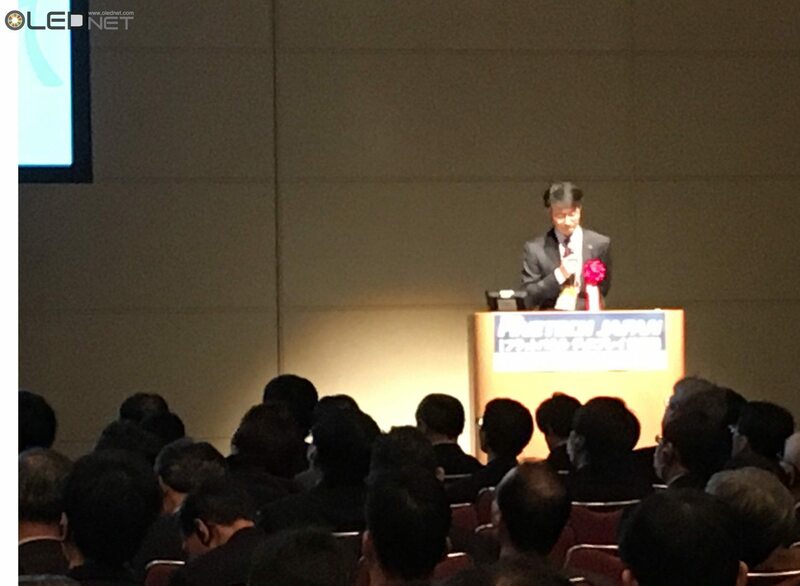 It will be analyzed the technical issues and market in the OLED industry in the first half of the 17th year under the theme of “OLED Market Analysis and Latest Technologies”. In addition, it seems to forecast the 2H OLED market and change points for 2H through 1H issue analysis. In this seminar, technology development status and prospects of TADF OLED, Soluble OLED, and Flexible OLED technology that are emerging as next generation OLED technology will be intensively introduced with the key experts in related fields. It will be a place to look at the latest OLED technologies and to see in advance how OLED future technologies will evolve. 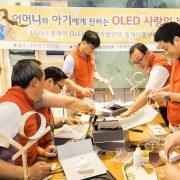 ▲ Market forecasts by analyzing OLED industry investment and mass production in the first half of 2017(Lee Choong-Hoon, representative of UBI Research), ▲ A new display paradigm ‘OLED'(Kwon Seong-Ryul, team leader of Dongbu Securities), will intensively analyze future display industry with the theme. ▲ Recent trends of TADF OLED luminescent materials(Prof Lee Jun-Yeob of Sungkyunkwan University), ▲ A New approach to improve OLED luminescence efficiency(Prof. Kim Jae-Hoon, Hanyang University), ▲ Development of Highly Efficient Multi-Functional Emitting Materials for Organic Light-Emitting Diode Application(Prof Jin Sung-Ho of Pusan National University), ▲ Flexible Display Technology Development Trends and Challenges(Prof. Lee Ki-Yong, Hanyang University), ▲Plane Source Evaporation for Very High ppi AMOLED (OLEDON/Prof. Hwang Chang-Hoon of Dankook University). With the theme of ‘It is time to challenge’ he will present the latest technology issues and directions for further growth of the display industry. 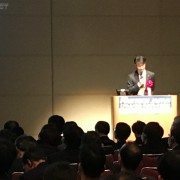 In this seminar, we will take a comprehensive view of the market and technology from the overall OLED industry, investment perspective, and economic perspective, it is expected to be a place where various high-quality information and networking exchanges will be formed along with domestic core experts, and the status and future of display technology can be forecasted. Samsung Display participates in ‘SID 2017’ exhibition hosted by the world-renowned Society for Display Experts ‘SID (The Society for Information Display)’ to show advanced future display products. 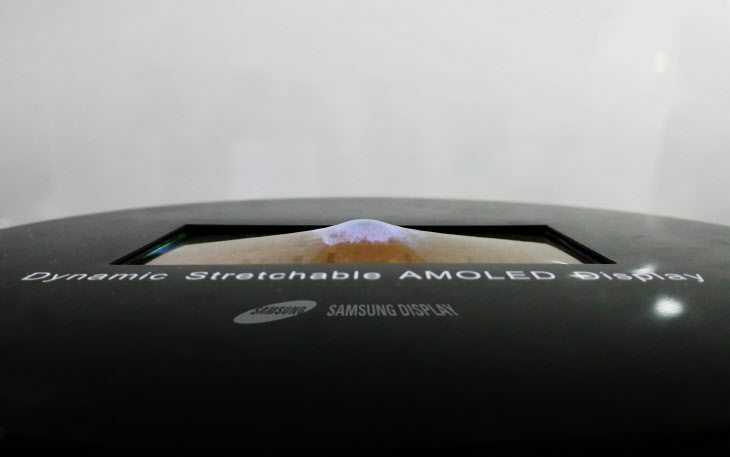 Samsung Display will exhibit advanced display products that have never been revealed before, such as a stretchable display and a non-eyewear 3D OLED at the LA Convention Center in Los Angeles on 23rd (local time). Samsung Display participates in this SID 2017, and is showing the unrivaled display technology leadership and confidence by showing high-tech products and publishing outstanding papers. Samsung Display unveiled a 9.1 inch stretchable OLED product with stretching screen. The stretchable display is the next generation display technology that extends the screen flexibly, and it is considered to be the most suitable technology for wearable, Internet (IoT), AI (AI), and car display. 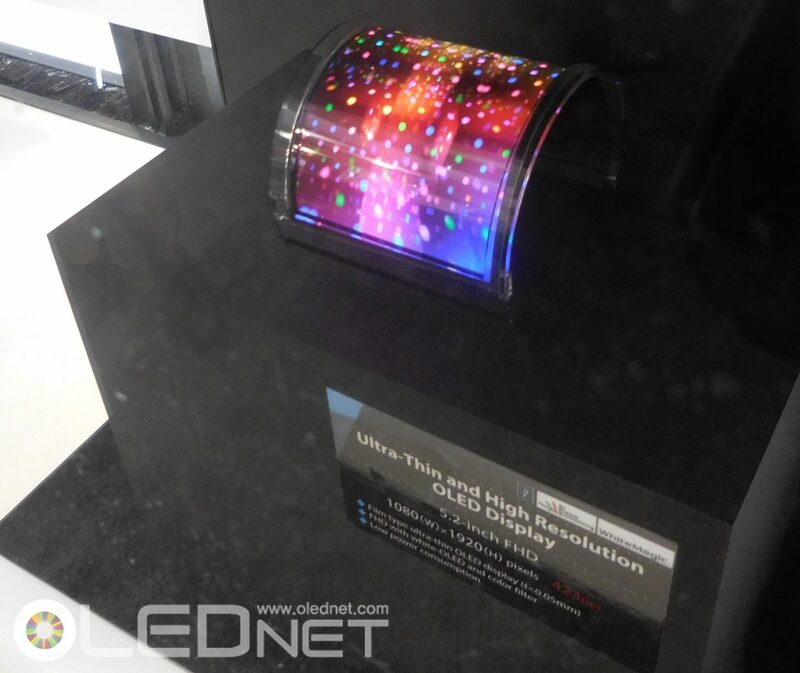 Compared to the existing flexible OLEDs that can be deformed in only one direction, such as bending, folding, or rolling a screen, a stretchable OLED can be deformed in more than two directions. This is a much higher level of implementation difficulty and is often referred to as the end point of flexible display technology in the industry. 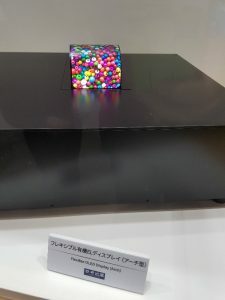 The product displayed this time, when the screen is pressed from above, the screen is dented like a rubber balloon, and then returns to its original flat shape. On the contrary, when pressed from below, the screen stretched up and had the elasticity to recover. Samsung Display has developed a high level of stretchable technology that maintains the original picture quality while increasing the screen to a depth of up to 12mm when the display is pressed through steady research and development. 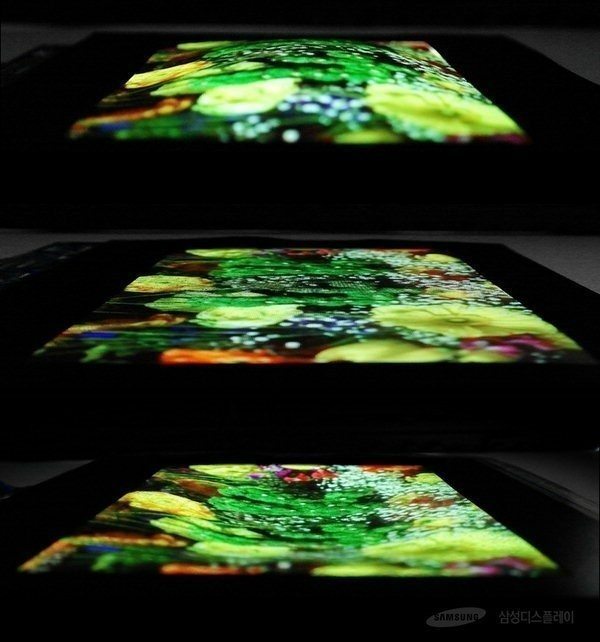 In addition, Samsung Display will exhibit ‘non-eyewear 3D OLED’ products. This 5.09-inch product realizes a real-life image that looks a bit different depending on the viewer’s position on the display, and expresses a more realistic 3-D image. Especially, due to the contrast ratio close to infinity of OLED, it shows more natural stereoscopic image than LCD product. This technology is expected to be utilized in various fields requiring 3D image technology such as 3D pop-up book, 3D game, VR and etc. On the other hand, this exhibition will have booths that enable users to experience the OLED technologies of Samsung Display. 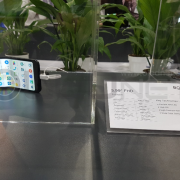 Including 3.5-inch size, 858ppi optimized for VR devices, 120Hz for wearable and tablet OLED products for smooth picture quality are exhibited. In addition, much improved image quality of OLED, HDR (High Dynamic Range) and low power consumption technology can be confirmed. Samsung Display also offers a ‘Design Innovation’ corner that introduces the development of smartphone display design, a unique flexible OLED technology. From round OLEDs applied to mobile phones for the first time in the world after the successful production of flexible OLEDs in 2013, to recent full-screen OLEDs with the highest picture quality rating of ‘Excellent A +’ from DisplayMate, an image quality evaluation agency, it is able to show the flexible OLED technology accumulated by Samsung Display at a glance. Meanwhile, a paper entitled “Extendable Screen with Stretchable OLED Display” of Hong Jong-ho, researcher of Samsung Display Research Institute selected as SID 2017 Distinguished Paper. 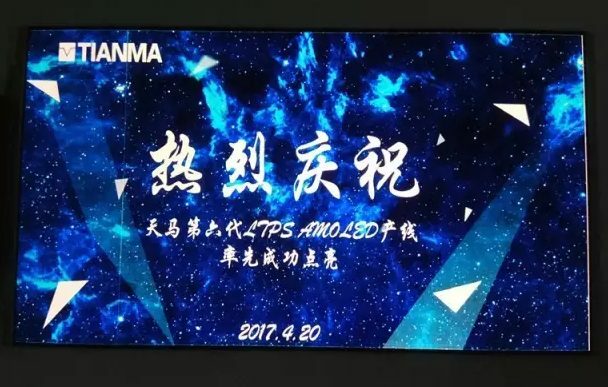 On April 20, 2017, Tianma successfully turned on the China’s first panel produced in a Gen6 LTPS AMOLED production line in Wuhan, China. The investment in Tianma’s Gen6 was made starting from January 2016. Tianma built a Gen4.5 AMOLED pilot line for the first time in China, and is planning to produce small-medium sized AMOLED displays. 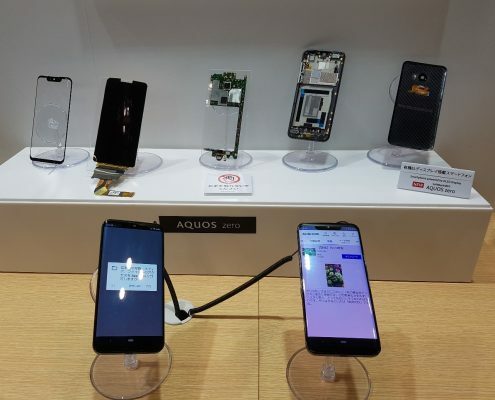 Based on this, it unveiled a 5.5-inch HD on-cell rigid AMOLED panel for smartphone, a 5.5-inch FHD AMOLED rigid panel, a 5-inch FHD AMOLED panel, and a 5.46-inch flexible AMOLED at MWC 2016. Tianma’s Gen6 LTPS AMOLED constructed this time will produce LTPS AMOLED for rigid OLED and flexible OLED to apply it to VR, AR-related devices, wearable devices, and foldable devices. Tianma expects to become a leading company in the AMOLED display field, thanks to this newly built Gen6 LTPS AMOLED production line. 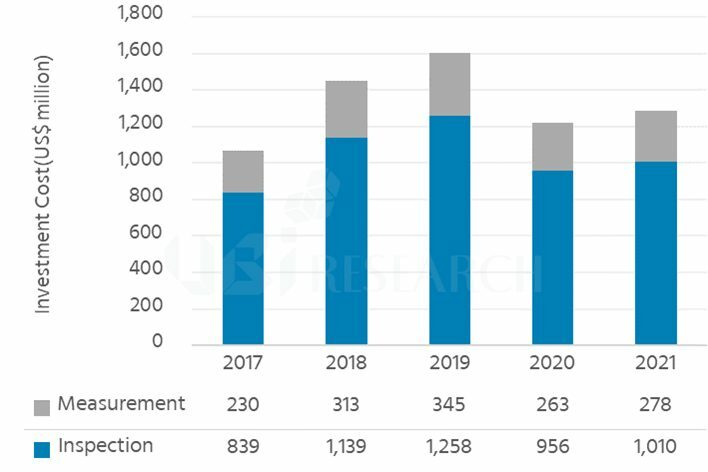 Meanwhile, according to ‘2017 OLED Display Annual Report – Samsung Display’s Share in the Smartphone AMOLED Panel Market Will Reach 70% by 2020’ published in February 2017 by UBI Research, Tianma ordered 30K equipment for a Gen6 flexible AMOLED panel production line in Wuhan and will produce in the second quarter of 2018. Is Samsung Display Moving To the Gen 7 for A4 Line? 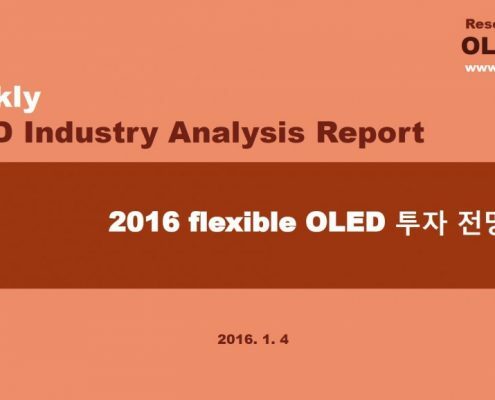 Samsung Display’s ongoing extension of flexible OLED line is highly expected to move to the gen 7 production line. 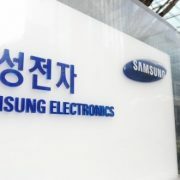 An OLED specialized research company, UBI Research CEO Choong Hoon Yi(senior analysis) analyzed the names of Samsung Display’s plants have changed by generation so A4 line will be able to increase to the gen 7. The OLED plants owned by Samsung Display consist of A1, A2, and A3. A1 line is the gen 4 plant, A2 is the gen 5.5, and A3 is the gen 6 plant. LCD’s 7-1 line that is being recently converted is reportedly named A3E which is the follow-up of A3. 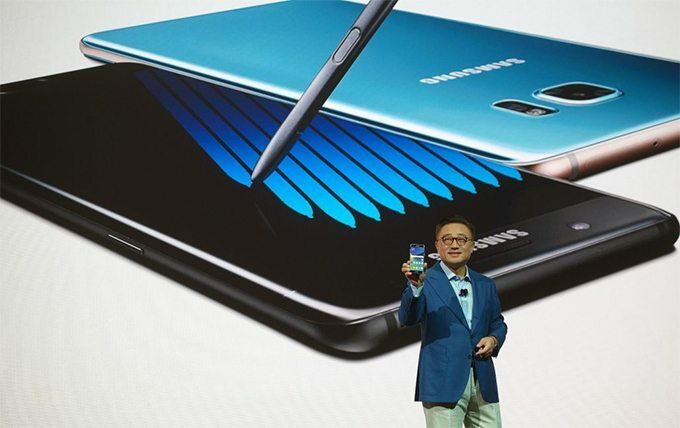 Therefore, the CEO Choong Hoon Yi forecast A4 will become the gen 7 line, in light of this trend. To this end, he looks squarely at some issues to overcome. Firstly, it needs to secure excimer laser, the prerequisite for LTPS-TFT and doping apparatus because production equipment still remains the gen 6. 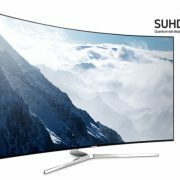 But, Yi thought there is no problem in securing equipment and developing process up to the gen 7, as Samsung Display has been operating the gen 8 LTPS-TFT to produce 55-inch OLED panels for TV. In addition, he analyzed it would be also possible to manufacture the FMM of the gen 7 half, required for the OLED deposition process. 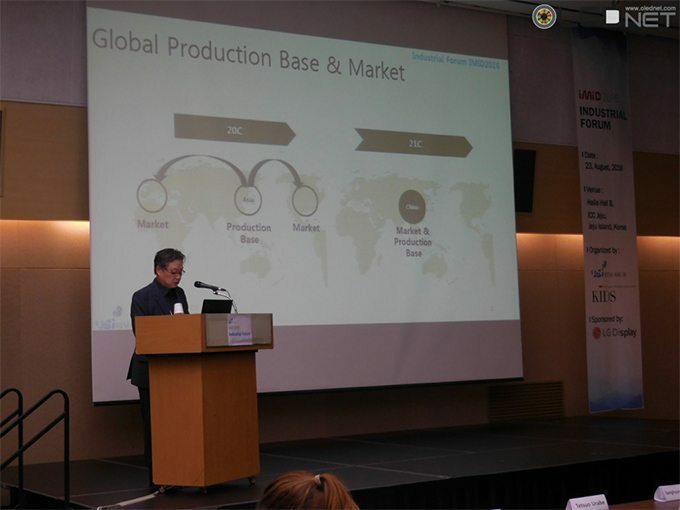 Samsung Display’s sole supplier of FMM, DNP made an investment in manufacturing facilities last year. Although the details of investment haven’t been well-known, it already has a stepper that can manufacture a mask of gen 7 half. Lastly, when it comes to the validity of investment in Samsung Display’s gen 7, a differentiated production strategy is a key issue, according to Yi. Recently, companies that got into the business late are investing in the gen 6 OLED line, and in a few years their equipment productivity will be as good as Samsung Display’s. In his point of view, it is very meaningful to invest in the gen 7 line in order to stand out from new comers once again. 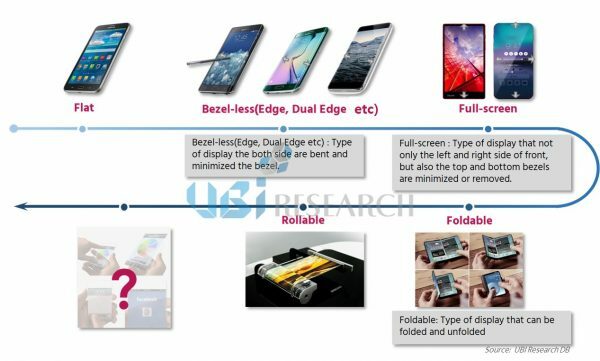 Samsung Display is already building various portfolios such as foldable OLED, COP(chip on plastic)OLED, and OLED with 800ppi high-resolution even at the R&D stage. The addition of the gen 7 production strategy to its R&D strategy incomparable with late comers will further raise its competitiveness. http://olednet.com/wp-content/uploads/2017/04/17.04.18_4_en_logo.png 874 1802 OLEDNET /wp-content/uploads/2015/09/logo_oled.png OLEDNET2017-04-18 15:51:392018-09-26 20:23:49Is Samsung Display Moving To the Gen 7 for A4 Line? Currently, large OLED accounts for the majority of LG Display OLED sales. OLED TVs in application of LG Display’s large OLED are positioning as in the premium TV market leader, with approx 80% market share of the 65-inch large TVs priced higher than$ 3,000, and nearly 100% of the 55 inch large TVs higher than $ 2,000. He said, “While 10 years taken for LCD to achieve more than 80% of market share, two years for large OLED, whose price is falling much faster than LCD. 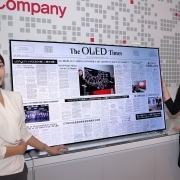 On top of it, OLED attempts to generate a premium markets with high-value-added products such as wall paper, crystal sound OLED, roll-able, transparency and signage. 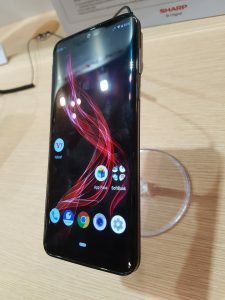 Also OLED for mobile device has been equipped with high competitiveness in application of a flexible design, and market demand has been significantly increased. 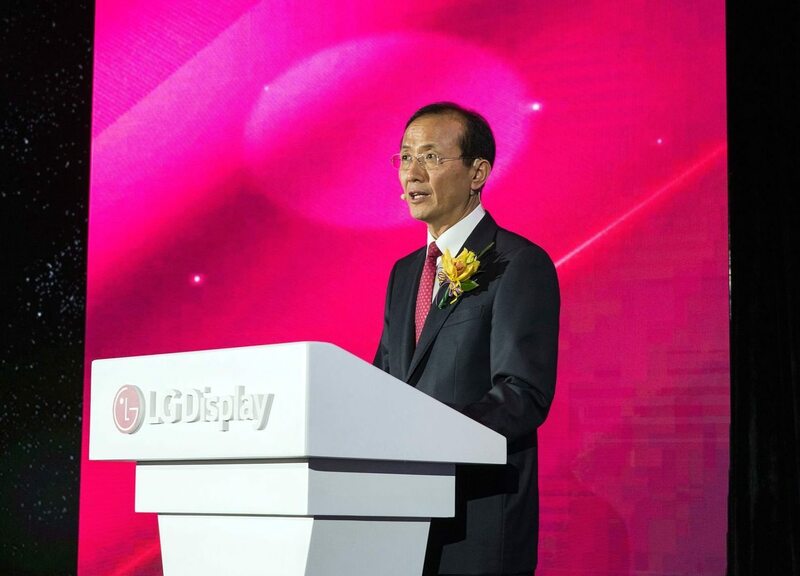 Consequently LG Display is undergoing active development and investment.” He emphasized that the ongoing challenges will bring the LG Display’s OLED sales result in 2020 up to more than 50% of the total. 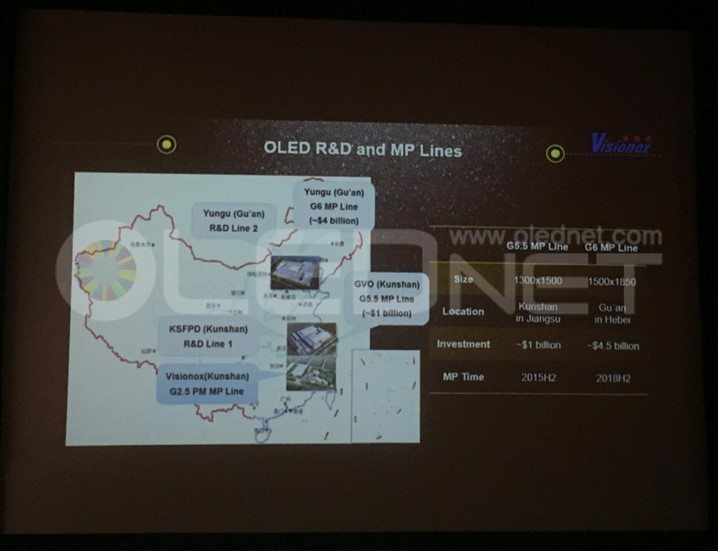 CTO Kang lastly addressed that the future OLED strategy of LG display is to produce large OLED wider than 77 inches, implement 8K and develop application for high-value-added product market. 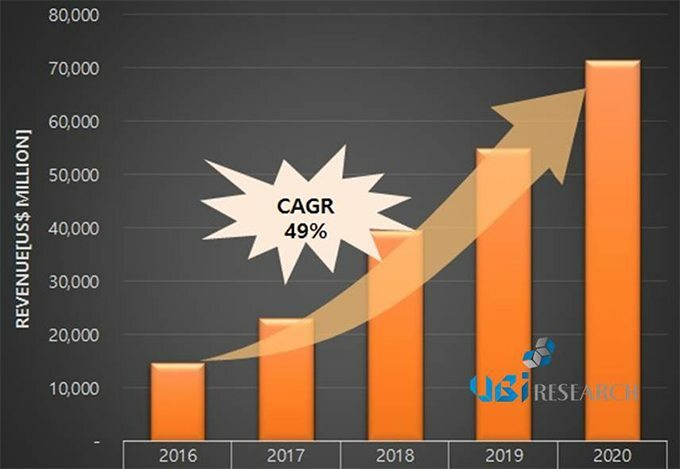 As for mobile device OLED, UHD resolution, DHK power consumption improvement and distinctive design are the key elements as well as flexibility that can increase the OLED performance and investment efficiency to differentiate from LCD and domineer the next generation display market. 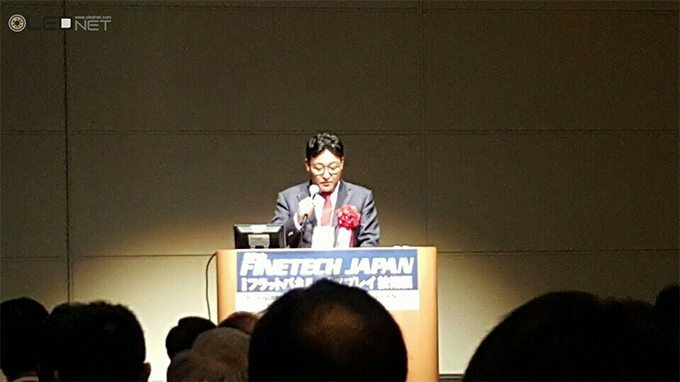 Through the Finetech Japan 2017 keynote, LG Display once again emphasized that OLED is the key instrument to lead the display market in the future. 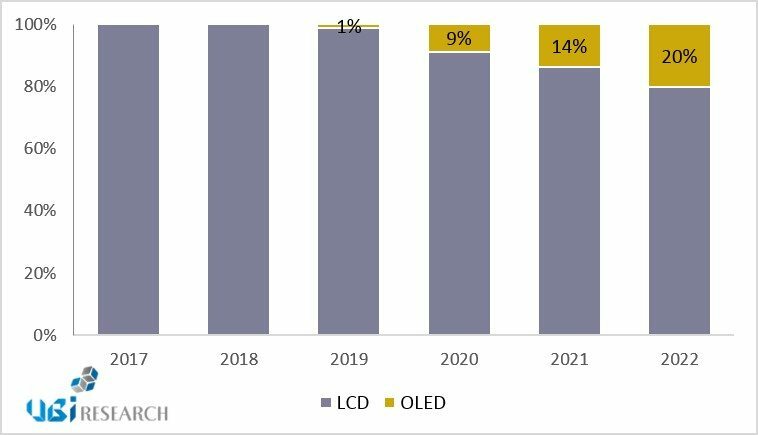 Based on the large OLED technology, LG Display will continue to lead the display market by expanding its scope to mobile device OLED. Korea Institute of Machinery and Materials (KIMM hereafter, Cheon-Hong Park, the president of KIMM), the Ministry of Science, ICT and Future Planning-affiliated developed the 300mm grade of Roll-to-Roll manufacturing technology that allows to produce flexible OLED* by simple process with GJM Co., Ltd (Mun-Yong Lee, CEO) for the first time in Korea. The Printed electronics research laboratory of advanced production equipment research center in KIMM succeeded in applying traditional Roll-to-Roll printed electronics technology to the OLED production process. Using Roll-to-Roll vacuum evaporation equipment, it is possible to produce flexible OLED products inside a single chamber as evaporating OLED light emitting organic layer and metallic electrode to roll type film in order. Available OLED products consist of many organic, inorganic layers of 1~hundreds nanometer (nm) level of thin and each layers are manufactured through vacuum thermal evaporation process. 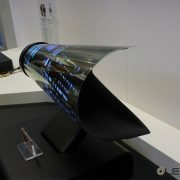 Producing the flexible OLED display must go through complicated processes until now. The method that has been used so far is that attaching a film on the glass plate and passing it over the evaporation process to produce OLED, and then separating a film from the plate. 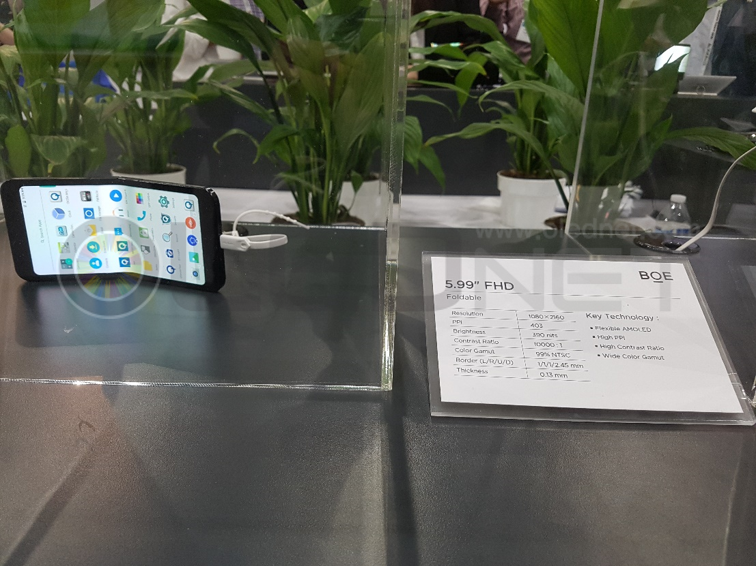 The one-side curved display of smart phone screen which was launched by Korea conglomerate was made in the same manner of process which is attaching a film on a glass plate or coating and then circulating evaporation equipment to produce OLED and separating OLED from the glass plate. There were demerits of the need for adding additional process of attaching and detaching a film as well as for various additional evaporation equipment upon necessary steps. Applying the currently developed technology, it is possible to produce OLED with ‘multi-layer evaporation’ process that evaporates organic layer and inorganic layer sequentially on top of a film after letting a roll type film which is rolled inside a vacuum chamber flow. The time and facilities required for production are greatly reduced, therefore, not only large companies but also small and medium-sized enterprises can produce flexible OLED. 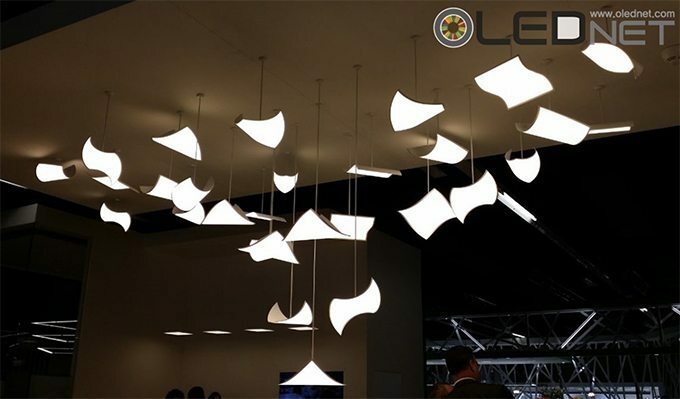 This OLED producing method is expected to be used in the lighting industry first since it can be produced by surface unit unlike point unit of the existing LED, and be possibly made in any desired shape due to its flexibility. 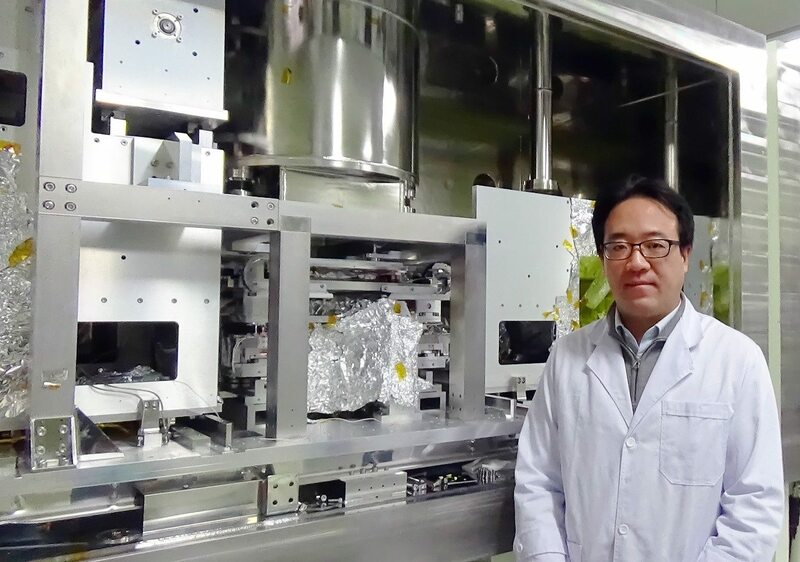 Shin Kwon, senior researcher of KIMM explained “With Roll-to-Roll vacuum evaporation equipment, it can be used for continuous production of flexible OLED which is notable display for the next generation. Especially in the display industry, it is a key technology to secure the technology gap feasible to contribute to gain supremacy over China from its rapid pursuit while Korean R&D is stagnant. Also added “we are under development of fine pattern mask align technology which allows to produce individual pixels Red/Green/Blue used in actual display product. When it’s completed, it can be applied to the high resolution display and is a strong technology differentiated from Fraunhofer in Germany and Konica Minolta in Japan developing similar technologies. This task was conducted for the leading study sponsored by the ACE*** program which is a technical business support program of KIMM, and has been conducting with GJM Co., Ltd. with a support of the economic cooperation business of the Ministry of Trade, Industry and Energy since Oct. 2015. 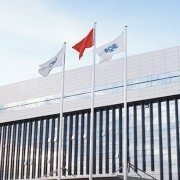 GJM Co., Ltd. as a hidden champion holding core technology in OLED, recently made a delivery performance in Taiwan, Japan, and China and is pushing ahead with full-scale equipment commercialization. 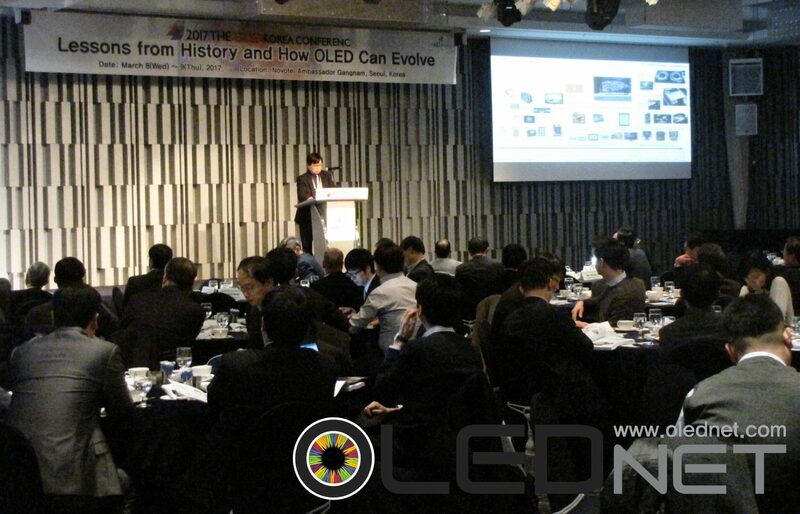 Choong Hoon Yi, president of UBI Research made a keynote speech with a theme “The Future of OLED” at ‘The 3rd OLED Korea Conference’ hosted by UBI Research for two days from March 8 to 9. 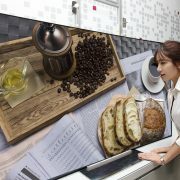 Choong Hoon Yi, president of UBI Research stated “100-inch rollable wall TV is the future of OLED”. 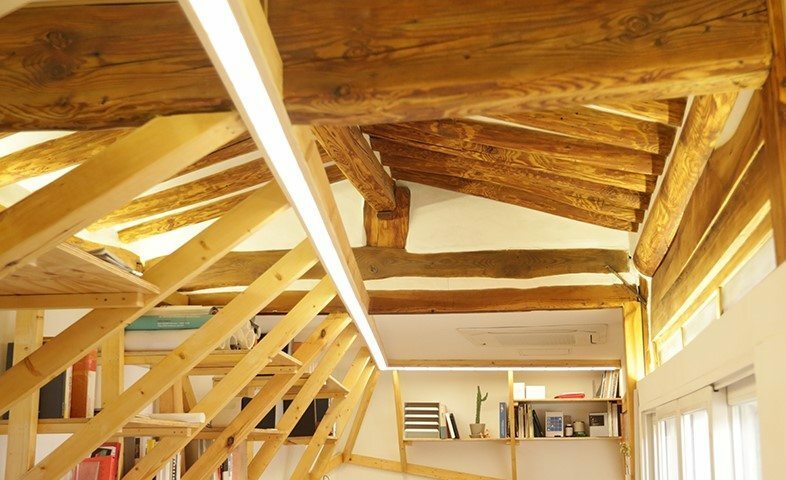 “human eyes have a wide viewing angle so even if display covers the whole wall, there is no discomfort. Glass substrate OLED may be difficult to carry, and accordingly rollable display can be rolled up and delivered like a carpet.” he added. He also predicted “plastic substrates and printing process for price cut will be suitable for rollable display. 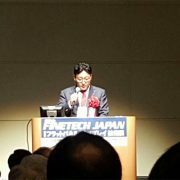 TFT and pixel production techniques made by Solution process will be a key to future technology”. If a speaker is built in rollable display, and a correspondence between the person and sound on the screen will represent a perfect display. 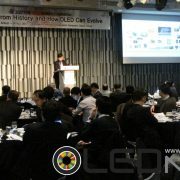 Choong Hoon Yi said the reasons for the success of OLED can be found out in the mobile market. Firstly, 4K contents to be used for future TVs will be used in smartphones, and smartphones will also use 4K resolution. Second, Apple will release the OLED iPhone this year, and there will be an Apple effect because Samsung Display is building the A3 line for Apple to produce 200 million 5.5-inch OLED displays. 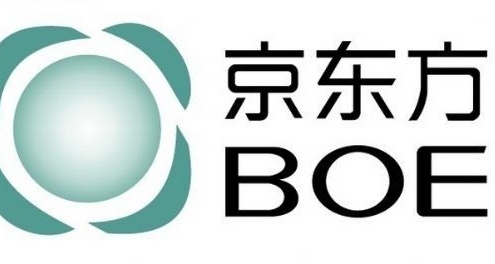 Third, Chinese market accounts for 40% of the global smartphone market, and Chinese set companies have been rapidly increasing the release of smartphones. Lastly, a flexible OLED to cover the full screen smartphone will have no home button and feature wide screen to satisfy visual functions, and its strengthened security system that reads fingerprint and pattern can be applied. For the four reasons above, he expected OLED will be key in the future mobile market. 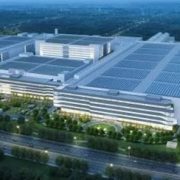 Meanwhile, he expected the shipments of OLED panel will be 1.7 billion in 2021, and the sales will amount to US$ 75 billion. 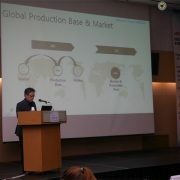 Korean display companies will represent more than 80% of the total market in 2021, and China will take up 10~15%. 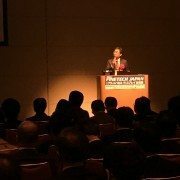 In addition, he forecast that display panel companies will make a new investment in flexible OLED which will account for 70% of the total OLED market. 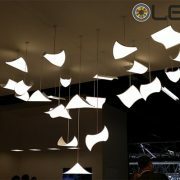 http://olednet.com/wp-content/uploads/2017/03/ubi.jpg 963 1500 OLEDNET /wp-content/uploads/2015/09/logo_oled.png OLEDNET2017-03-16 09:06:382018-09-26 20:28:03What is the future of OLED? 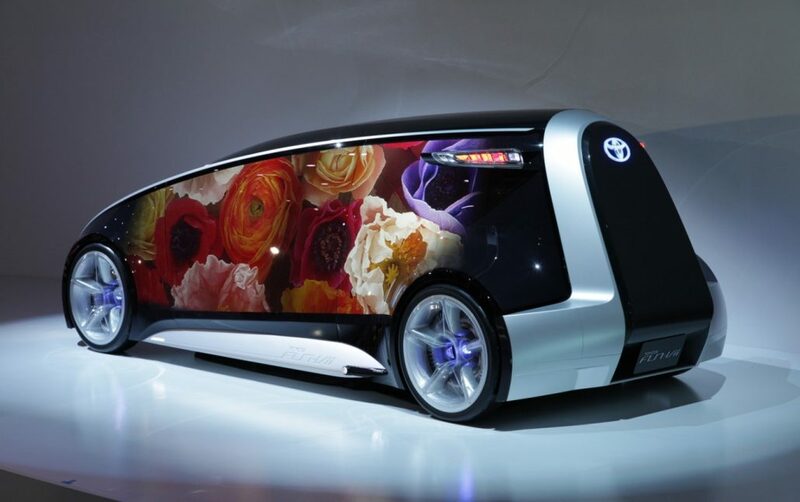 OLED panels are expected to be used in automotive displays joining to mobile devices and TVs. 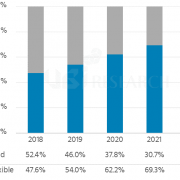 According to the “Automotive Display Report – Application & Market Trend Analysis and the Market Forecast” published by Ubi Research, OLED panels are expected to be applied to automotive cluster and CID in earnest from 2018. It will be applied to premium cars first under flexibility and superiority of image quality. 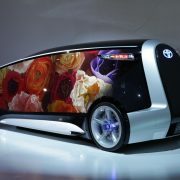 Car manufacturers are attempting to differentiate themselves with the concepts of environmentally friendly, connected, smart, and autonomous driving, and thus the interface inside the vehicle is also changing. There might be a limit to the existing analogue methods since various information must be transmitted and processed especially, as developed connected, smart car, and autonomous vehicle. 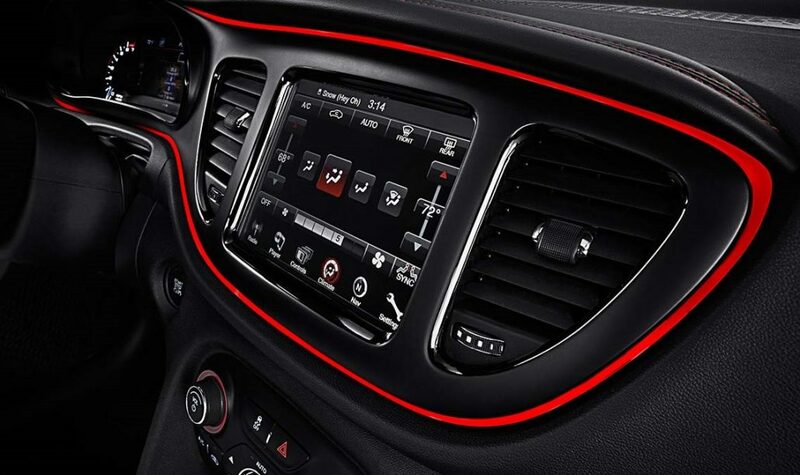 Therefore, the role of display in automobiles is becoming increasingly important and the area of display is gradually widening. Especially, since the cluster and CID have many curved surfaces, it is difficult to apply a square display to a large area and accordingly, the importance of a flexible display is emphasized. The automobile manufacturers show great interest to the AMOLED panel since it can provide high visibility to the drivers and it is flexible and applicable to any part of the automobile based on its fast response speed, wide viewing angle, high color reproduction rate and contrast range. It is under joint development with major panel makers. However, there is a problem that the lifetime of the AMOLED panel is still insufficient for application to automobiles. According to the analyzing report, the lifetime of the AMOLED panel has met about 50% as compared to the requirements for the car display. The most important issue is securing lifetime for the AMOLED panel usage. 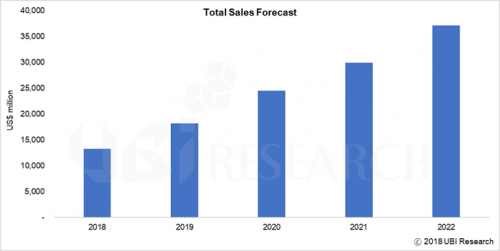 According to the report also, the automotive display market will grow at an annual average of about 17%, reaching US $ 25,000 million by 2022, and it forecasted that the AMOLED panel market will account for about 20%. 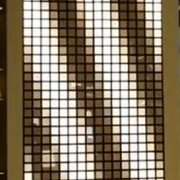 http://olednet.com/wp-content/uploads/2017/01/17_1_5_Automotive_display.gif 389 680 OLEDNET /wp-content/uploads/2015/09/logo_oled.png OLEDNET2017-01-06 11:55:462018-07-11 21:20:08OLED panel for automotive display to be applied from 2018/The core issue is for its life-time extension. Like this, OLED is thin, light and can be bended characteristically, and has strong points such like free designs are available, so it is getting a lot of interests as next-generation illuminants including indoor lighting etc. as well as lighting for vehicles. 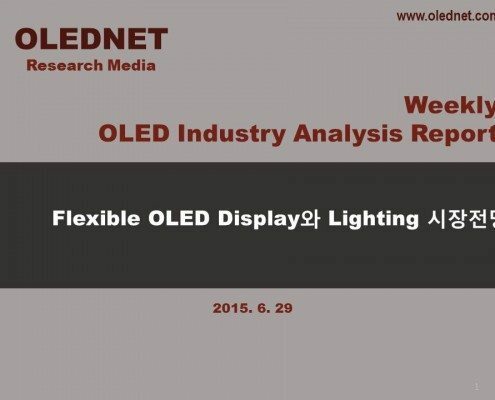 According to 2016 OLED lighting annual report having been published in August 2016 by UBi RESEARCH, it explains that OLED lighting is known to display same performance with LED in R&D levels regarding characteristics of brightness and lifetime etc. as eco-friendly lighting and having high energy-efficiency, thus OLED seems to have sufficient competitiveness only if requested brightness is satisfied along with each automotive company. 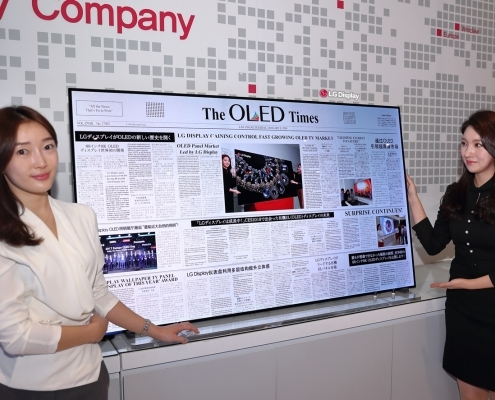 Combining smartphone and tablet PC, flexible OLED is expected to be a key player in opening the new digital convergence era. During the Industrial Forum IMID 2016, held on 23 August in Jeju ICC in South Korea, the president of UBI Research Choong Hoon Yi gave a keynote speech and suggested the changes to the industry that flexible OLED will bring. 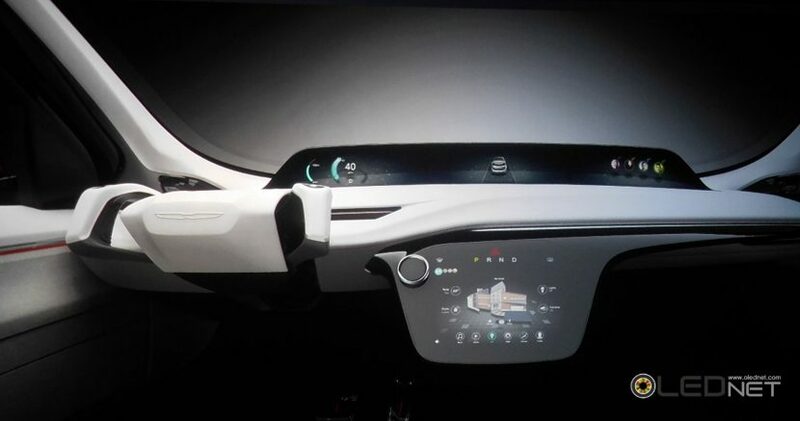 Yi discussed diverse applications for flexible OLED and emphasized that digital convergence where tablet PC is absorbed into smartphone will occur. He explained that flexible OLED will open the foldable phone era where the screen can be completely folded, and innovative product which will become a 5 inch smartphone when folded and a tablet PC when opened will be developed. Yi explained that using the flexible OLED’s characteristics of thinness, lightness, flexibility, and spatial efficiency, it will be widely used. He estimated that not only will flexible OLED be used in automotive screen, lighting, flexible signage, and foldable game device, it will be utilized in diverse areas from wearable products such as smart helmet to smart fashion. 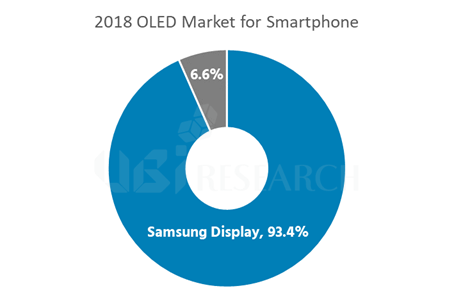 Referencing UBI Research’s analysis, Yi forecast that in 2020, 60% of the total smartphone will be OLED smartphone, and in 2021, 70% of OLED smartphone will be equipped with flexible OLED. 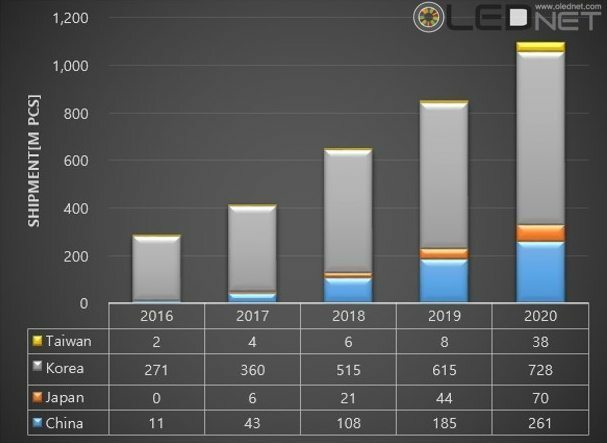 Global smartphone OLED panel shipment is expected to exceed 300 million units for the first time in 2016, and exceed 1,000 million units in 2019. 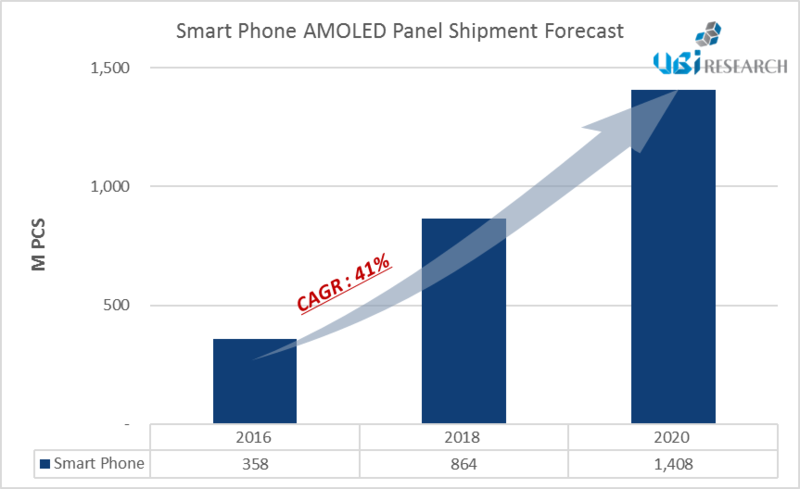 On 16 August, UBI Research forecast that the global shipment for 4-6 inch OLED panel for smart phone is expected to be 318.8 million units, approximately 27% increase from 2015. From then on, 2017 is estimated to record 505.3 million units, 902.5 million units in 2018, 1,170.2 million units in 2019, and 1,379 million units in 2020. 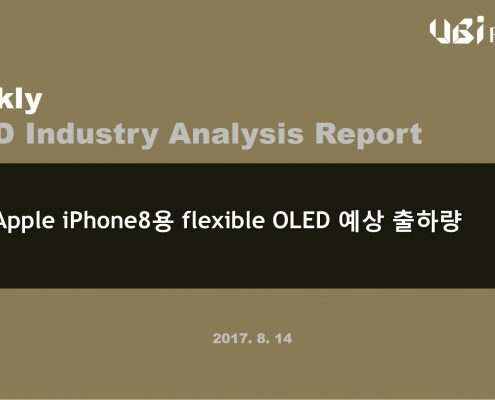 UBI Research forecast that rapid growth of flexible OLED for smart phone in particular will lead the total smart phone OLED shipment increase. 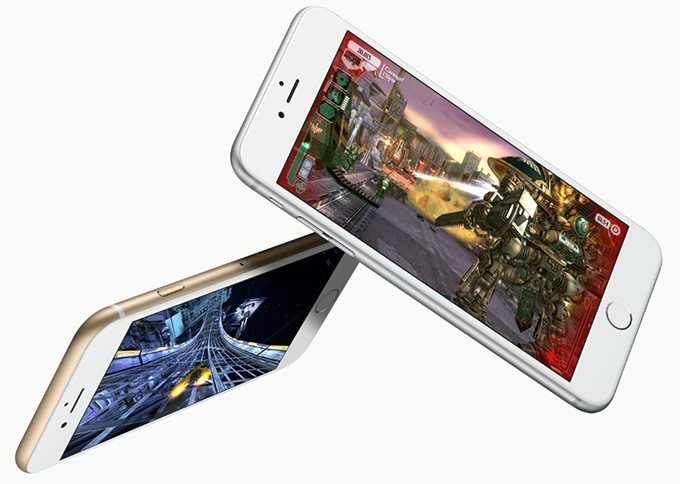 According to UBI Research’s investigation, rigid type of smart phone OLED shipment is expected to dominate the total smartphone OLED shipment in 2016 with 78%. 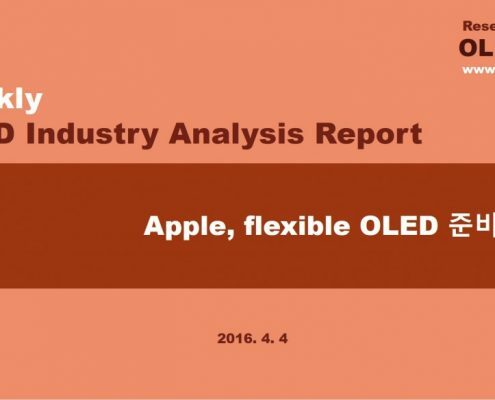 However, in 2018, flexible OLED panel is estimated to record 56% and exceed rigid. 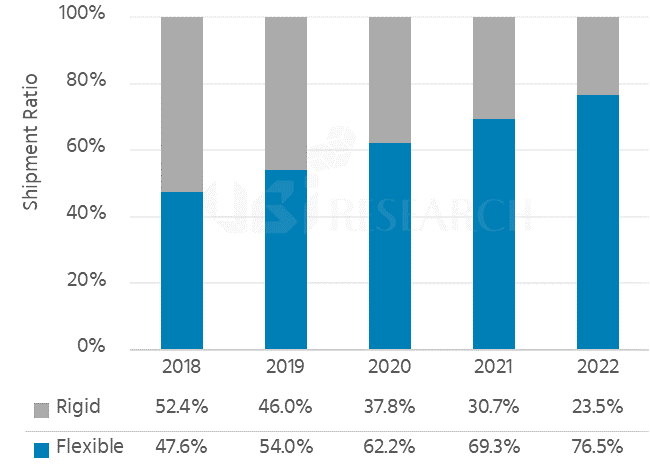 The market share of flexible is expected to increase to 62.3% in 2019, and 67% in 2020; it is forecast to be the main force within the smartphone OLED market. 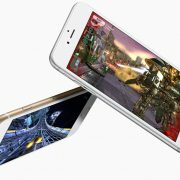 IHS, another market research company, also forecast that the smart phone OLED panel shipment will exceed 300 million units for the first time in 2016. 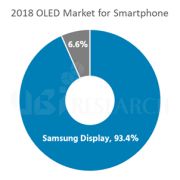 IHS estimated the smartphone OLED shipment to be 366.88 million units in 2016 and 663.66 million in 2019, and showed some difference from UBI Research. LG디스플레이(대표이사 부회장 한상범, 韓相範/ LGD)의 OLED가 4월 8일부터 10일까지(현지시간) 중국 광둥성 선전에서 열리는 ‘제4회 중국정보기술엑스포(China Information Technology Expo, CITE) 2016’에서 ‘CITE 2016 기술혁신 금상’을 수상했다고 11일 발표했다. ‘CITE 2016 기술혁신 금상’은 전시제품 중 혁신적인 기술을 선보인 제품을 선정해 시상하는 것으로 LG디스플레이의 TV용 OLED 패널은 HDR(High Dynamic Range)기술을 적용해 최대 800nit까지 휘도를 구현함으로써 자연색에 가장 가까운 화질을 표현하는 것으로 평가받았다. OLED는 백라이트 없이 스스로 빛을 내기 때문에 LCD 와 달리 완벽한 블랙을 구현할 수 있다. 이에 OLED는 화면의 어두운 곳은 더욱 어둡게, 밝은 곳은 더욱 밝게 표현해 영상을 한층 선명하고 또렷하게 보여주는 HDR기술에 최적화됐다는 평가를 받고 있다. 올해로 4회째를 맞는 ‘CITE 2016’은 중국 공신부와 선전 지방정부가 주최하는 아시아 최대 정보/전자 전시회로 1,625여개 업체가 참여하고 12만명의 방문객이 참관했다. 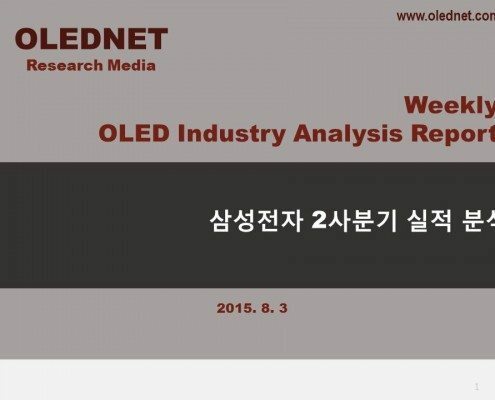 JOLED가 프린팅 기술 기반의 19.3인치, 12.2인치 OLED 패널 개발을 완료하고 2018년부터 양산에 들어간다. 4월 6일부터 8일까지 도쿄에서 열린 ‘파인테크 재팬 2016’의 스페셜 세션에서 JOLED의 사업개발부 수장인 토모아키 츠보카 이사는 ‘혁신에 도전하는 JOLED의 전략’이라는 제목으로 연설하며 이같이 밝혔다. 츠보카 이사에 따르면 JOLED는 최근 프린팅 기반의 12.2인치 FHD 플렉서블 OLED 패널과 19.3인치 4K OLED 패널 시제품 개발을 완료했다. 12.2인치 제품은 180ppi며 19.3인치 제품은 230ppi이다. JOLED는 오는 8월부터 시제품의 양산 관련 검증 작업에 들어갈 계획이며 2018년부터는 정식으로 양산할 예정이다. 이를 위해 JOLED는 4.5세대 양산라인(730x920mm)을 준비 중이다. JOLED는 그동안 스마트폰용 OLED 패널 양산이 주력이었던 업체다. 이 회사는 프린팅 기술을 기반으로 대형 부문에 진입함으로써 이를 성장 동력으로 삼는다는 전략이다. 츠보카 이사는 이날 세션에서 프린팅 방식의 OLED 양산 기술의 특징을 설명하며 JOLED만의 우수한 프린팅 기술을 내세웠다. 츠보카 이사는 “RGB 프린팅 방식은 대기 중 대형 OLED 패널 구현이 가능하며 작업과정이 짧은 게 장점이지만 얼룩(Mura) 개선 및 물질 특성 개선 등이 필요하다”고 했다. 그는 “JOLED의 경우 독자적인 기술을 통해 많이 개선했다”며 “알고리즘 개선 및 재료, 디바이스 구조 최적화를 통해 많이 개선했다”고 덧붙였다. 그는 “JOLED는 프린팅 기술력을 가지고 대형 패널 시장에 진입하려고 한다”라며 “OLED는 높은 품질의 플렉서블(flexible), 프리폼(freeform), 투명(transparent) 등의 구현이 가능해 역, 공항, 미술관 등에 공간의 혁신을 가져다 줄 것”이라고 강조했다. LG디스플레이가 TV 시장에서 OLED를 성장동력으로 삼고 시장을 선도해 나가겠다는 뜻을 다시 한번 확고히 했다. 특히 65인치, 55인치 OLED TV의 수요 증가에 적극 대응한다는 계획이다. 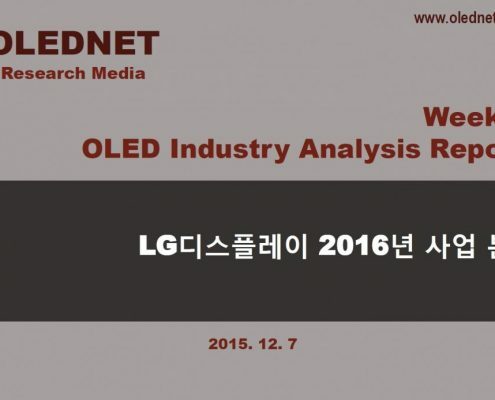 7일 LG디스플레이 OLED TV 개발 그룹장인 오창호 전무는 도쿄 ‘파인테크 재팬 2016’ 스페셜 세션에서 ‘Technology for Large Size OLED Display’라는 제목으로 연설하며 대형 OLED 패널의 우수성을 강조했다. 대형 TV를 구현하는 디스플레이로서 LCD는 빛샘현상이 있지만 OLED는 이를 해결해주고 뒤틀림 없는 자연색을 구현해준다는 게 오 전무의 설명이다. 오 전무는 “OLED의 자체 발광 특성을 통해 대형 TV의 화질 측면에서의 요구사항들을 해결할 수 있으며, Foldable한 특성 및 자유로운 형태를 통해 1mm 이하 두께로 디자인을 개선할 수 있다”고 했다. 그는 이와 함께 동일 컬러 영역에서 빛표현이 뛰어나다는 점, 800니트 이상의 고휘도 구현이 가능하다는 점 등을 대형 OLED 패널의 장점으로 내세웠다. LCD에 주로 사용되는 기판은 a-Si, 폴리 Si, 옥사이드(oxide)며 OLED의 경우 주로 옥사이드와 폴리 Si가 기판으로 이용된다. 오 전무는 패널 대형화에 대응하기 위한 일환으로 기존 양산라인에서 a-Si를 옥사이드로 전환함으로써 확장성과 안정성을 높일 수 있다고 설명했다. 오 전무는 “65인치와 55인치 TV 수요가 늘고 있어 OLED 시장의 성장동력이 될 것”이라며 “파주에 P10 공장 설립을 진행 중이다”라고 말했다. 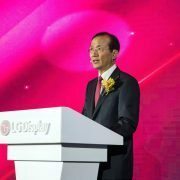 LG디스플레이(대표이사 부회장 한상범, 韓相範 / www.lgdisplay.com)가 4월 8일부터 10일까지(현지시간) 중국 광둥성 선전에서 열리는 ‘제4회 중국정보기술엑스포 2016(CITE 2016)’에 참가해 미래형 OLED의 우수성은 물론, 아트슬림, M+ 등 차별화 기술력을 선보인다. 올해로 4회째를 맞는 ‘CITE 2016’은 중국 공신부와 선전 지방정부가 주최하는 아시아 최대 정보/전자 전시회로 1,625여개 업체가 참여하고 12만명의 방문객이 참관한다. LG디스플레이는 이번 전시에서 중국 고객들에게 화질뿐만 아니라 응용 범위와 디자인 측면에서도 가능성이 무궁무진한 OLED의 장점과 7년 연속 세계 1위를 달성하고 있는 LCD의 독보적인 차별화 기술을 선보일 계획이다. OLED는 명암, 색정확도, 시야각 등 모든 면에서 현존 최강 화질로 평가 받고 있는 55, 65인치 및 초대형 77인치 UHD OLED 제품을 중심으로 전시해 미래 디스플레이로서 OLED의 가능성을 강조한다. 특히 이들 제품에는 HDR(High Dynamic Range)기술이 적용되어 자발광 디스플레이로서 블랙(Black)을 완벽히 구현하는 OLED의 특성을 극대화해 자연에 더욱 가까운 화질을 표현한다는 평가다. LCD 분야에서는 기존 제품 대비 소비전력을 35% 낮추거나 동일전력으로 50% 높은 휘도를 구현할 수 있는 M+ 기술과 HDR 기술을 적용한 65인치 TV용 패널, 터치 내장형 기술인 AIT(Advanced In-cell Touch)가 확대 적용된 11.6인치 노트북용 패널부터 23인치 모니터용 디스플레이를 선보이며 7년 연속 LCD 1위 기업의 위용을 자랑할 예정이다. 한편 LG디스플레이 OLED 사업부장 여상덕 사장은 4월 8일, CITE 전시회 개막과 함께 열리는 ‘CITE 포럼’에 참석해 한국기업으로는 최초로 ‘미래 디스플레이, OLED 시대 도래’라는 주제로 기조연설을 한다. 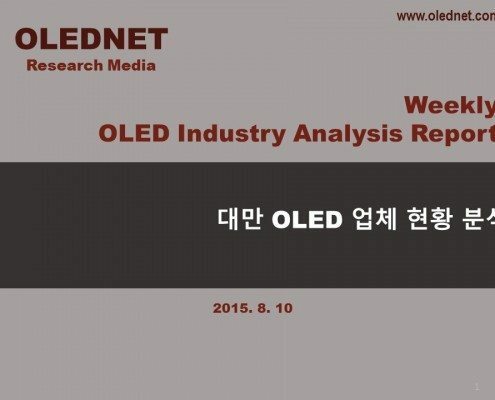 여상덕 사장은 기조연설에서 OLED를 미래성장 동력으로 선정한 LG디스플레이의 OLED 전략과 현황을 소개하고 LG디스플레이가 중국 시장을 중시하는 이유와 함께 중국 시장에서 OLED가 확실한 차세대 디스플레이로 자리잡을 수 있도록 참석 업체들의 관심과 지지를 이끌어 내었다. 특히 여상덕 사장은 “인공 지능과 IOT(Internet Of Things)를 근간으로 한 4차 산업 혁명시대에는 디스플레이가 사물과 사람의 소통창구로서 생활의 모든 것이 되는 DOT(Display Of Things)의 세계가 될 것”이라며, “DOT 세상에서의 디스플레이는 언제 어디에서나형태의 제약 없이 활용되어 제품 영역간의 경계를 허물 수 있어야 한다”고 말했다. 그는 “자연색을 가장 잘 표현하고 자유로운 형태의 디자인을 구현할 수 있는 OLED야말로 이러한 DOT의 시대에 최적의 디스플레이가 될 것”이라고 강조했다. 마지막으로 여상덕 사장은 “신기술과 신제품에 대한 수용도가 세계에서 가장 빠르며, 2020년도에 2억 4,000명의 중산층이 성장할 것으로 보이는 중국이 세계 제일의 OLED TV의 시장으로 성장할 것으로 보인다”며, “중국은 OLED가 주력이 되는 DOT 시대의 중심 축이 되어 가장 큰 미래 디스플레이 시장으로 성장할 것”이라고 주장했다. 한편 ‘CITE 포럼’은 산업발전 흐름과 발전 전략에 대해 논의하는 자리로 중국 정부관계자와 업체관계자 및 학계 등 1,000여명이 참석한다. 오는 4월부터 디스플레이 업계는 LCD가 후비고 간 상처를 OLED를 통해 회복해 나갈 것으로 전망된다. 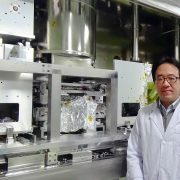 2016년 1분기 국내 디스플레이 업계는 중국발 LCD 공급과잉 후폭풍에 시달렸다. 실제로 오는 4월 실적을 발표할 예정인 삼성디스플레이, LG디스플레이는 올 1분기 LCD로 인해 큰폭의 적자를 기록할 것이라고 시장전문가들은 입을 모은다. 하지만 디스플레이 시장은 4월부터 본격적으로 실적개선을 누릴 것으로 예상된다. 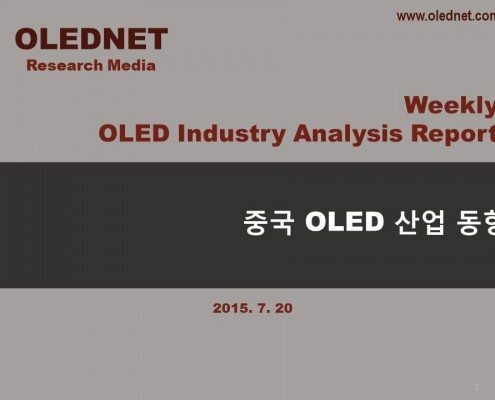 현대증권 김동원 연구원은 “2016년 2분기부터 OLED 가동률 상승 및 수율 개선 등으로 큰 폭의 이익증가가 예상되며 LCD 패널의 가격반등에 따른 수익성 개선 효과로 적자도 축소될 것”이라고 전망했다. 3월 현재 OLED를 장착한 갤럭시 S7 판매가 기대치를 웃돌고 중국 스마트폰 업체들의 OLED 패널 주문이 급증하고 있는 것으로 파악된다. 이에 따라 삼성디스플레이의 평면 OLED 양산라인인 A2 라인, 플렉서블 OLED 라인인 A3라인이 풀가동 중이다. 특히 LG디스플레이의 OLED 부문 실적이 눈에 띄게 개선될 것이라는 관측이 나온다. LG디스플레이는 현재 전체 양산라인 중 LCD의 비중이 90% 이상이다. 이에 따라 올 1분기에 LCD 가격 폭락으로 인한 타격이 심할 것으로 보이는 데다가 OLED 사업에서도 적자를 내고 있다. 하지만 2분기부터는 달라진다. 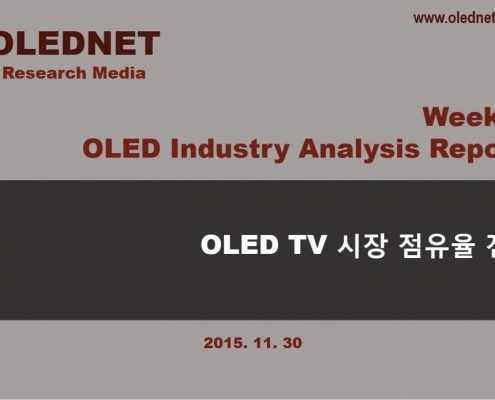 신한금융투자의 소현철 연구원은 “2016년 2분기 LG디스플레이 OLED TV 판매량과 매출액은 수율과 생산능력의 증가로 지난해보다 각각 144%, 106% 늘어날 것”이라며 “올해 OLED TV 부문의 영업적자도 큰 폭으로 감소할 것”이라고 내다봤다. LG디스플레이는 2017년 하반기에는 흑자 전환이 기대되는 상황이며 2017년 영업이익은 115% 증가한 1조원에 달할 전망이다. 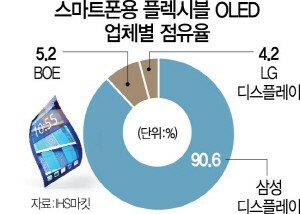 LCD와 OLED 비중이 각각 50%씩인 삼성디스플레이는 올 1분기 LCD 부문에서 9천억원의 적자가 전망된다. 하지만 OLED 부문에서 흑자를 거둬 다소 완충될 것으로 보인다. 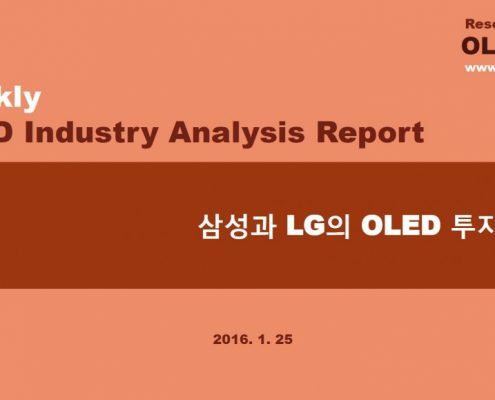 삼성디스플레이와 LG디스플레이는 올해 1분기 OLED 패널 양산라인 투자에 본격적으로 들어간 상태다. 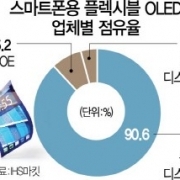 기존 LCD 라인을 OLED 라인으로 전환 투자하는 것은 물론 OLED라인 신규 증설 투자에도 적극적으로 나서고 있다. 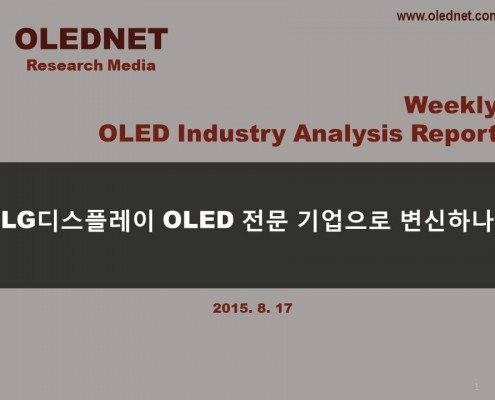 이처럼 디스플레이 시장에 ‘OLED 훈풍’이 예고됨에 따라 AP시스템, 테라세미콘, 비아트론, 동아엘텍 등 플렉서블 OLED 장비업체들이 증권가 선호주로 물망에 오르기도 했다. 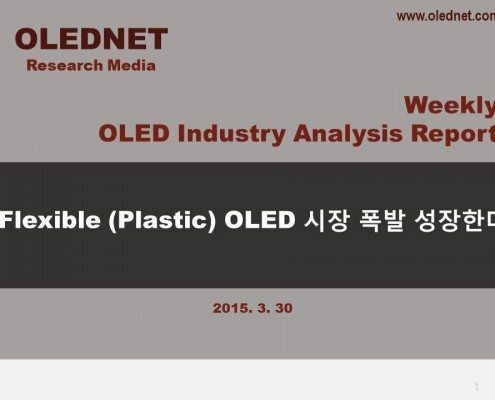 실제로 삼성디스플레이의 Flexible OLED 장비 관련 주요 협력사인 AP시스템은 지난해 영업이익 121억원을 달성하는 등 눈에 띄는 성장세를 그리고 있다. 유비산업리서치 관계자는 “2016년 한국의 AMOLED 출하량은 전세계 시장 95%를 장악할 만큼 국내 업체들의 패권이 확고해진다”며 “TV, 스마트폰, VR 시장에서 OLED가 점점 대세가 되고 있어 이는 삼성, LG 등 글로벌 패널 업체들에게 큰 성장 동력이 될 것”이라고 분석했다. 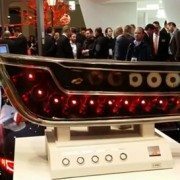 Osram is showcasing its OLED rear lamp for cars at Light+Building 2016. 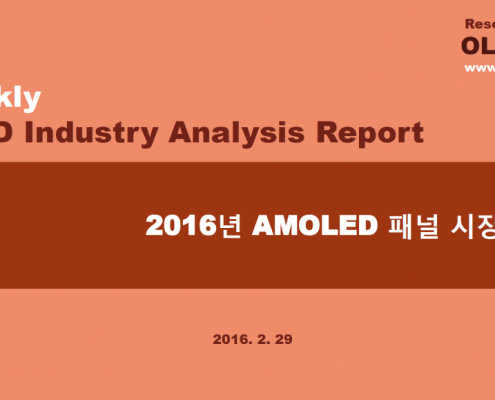 This year, Korea is expected to secure overwhelming leadership position within the global AMOLED panel market with 95% market share. According to 2016 OLED Display Annual Report, recently published by UBI Research, approximately 270 million units of AMOLED panel are to be produced from Korea in 2016, approximately 95% of the global shipment. 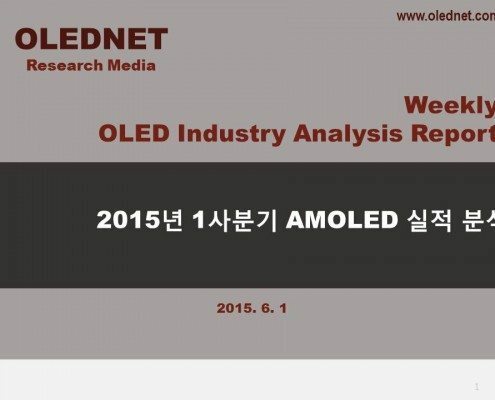 For AMOLED panel market revenue, Korea is estimated to occupy 96% of the total market in 2016 with US$ 14,218 million. 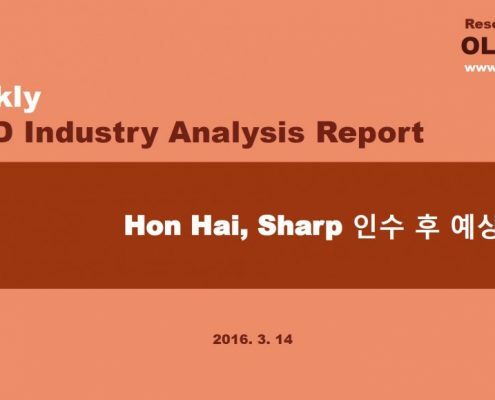 Korea is expected to maintain approximately over 70% of the market share until 2020, and lead the global market for several more years. This is analyzed to be due to active response by Korean display companies against AMOLED application expansion by influential global smartphone companies. Samsung Electronics is forecast to sell over 47 million units of AMOLED panel equipped Galaxy series in 2016. 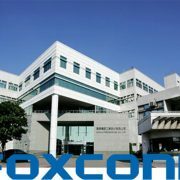 The projection that Apple will also apply AMOLED panel to future iPhone series for product differentiation is gaining traction. Several companies, including LG Display and Samsung Display, are carrying out active investment for AMOLED panel mass production line from H1 2016. Other than Korea, China is showing rapid movement within the global AMOLED market. China is estimated to produce approximately 11 million units of AMOLED panel in 2016, and occupy approximately 4% of the global shipment, marking the second place after Korea’s 95%. 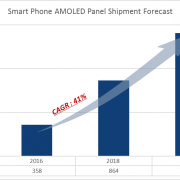 China is estimated to increase the market share each year and reduce the gap with Korea; in 2020, China is expected to hold 24% of global AMOLED panel shipment in 2020. 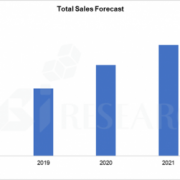 China’s AMOLED panel market revenue is also forecast to show significant growth with approximately US$ 500 million in 2016 to US$ 13,700 million in 2020, a 20% of the total market. 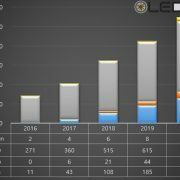 2016 OLED Display Annual Report forecasts that the global AMOLED market is to record approximately US$ 15,000 million in 2016, and grow to approximately US$ 70,000 million in 2020. 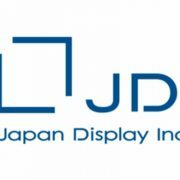 Japan Display (JDI) officially announced OLED mass production. The press, including the Sankei Shimbun and the Nikkei, reported that on January 22 JDI revealed their plans to begin mass production of OLED panel to be used in smartphone from 2018. JDI continued development with the aim of LTPS TFT and WRGB OLED technology applied high resolution AMOLED panel mass production for mobile device, and revealed the results through exhibitions in recent years. In Display Innovation 2014 (FPD International) and SID 2015, JDI have presented 5.2 inch FHD flexible AMOLED panel. 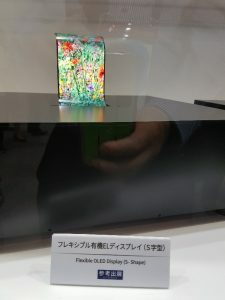 Particularly, in SID 2015, JDI showed a notepad equipped with flexible OLED panel. 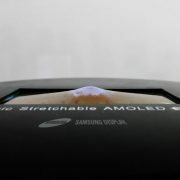 JDI is likely to mass produce flexible AMOLED following the current mobile device market trend. Although the mass production technology was not mentioned, due to the client demands, it is estimated that either the RGB method, which is being used by LG Display and Samsung Display, or WRGB method, which is being developed by JDI, will be selected. At present, only Samsung Display and LG Display can mass produce flexible AMOLED panel, but Chinese companies are fast in pursuit. 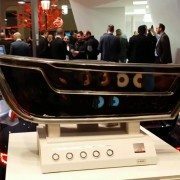 There is much interest in how this JDI’s mass production announcement will affect the future OLED market. 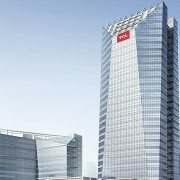 삼성전자 2세대 SUHD TV, 시장에서 얼마나 통할까? 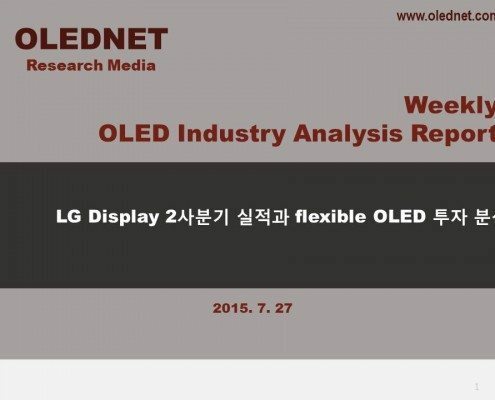 LG디스플레이 OLED 전문 기업으로 변신하나?